Melbourne Accountant welcomes Accountants Maloneys Beach, please find below a selection of accounting providers in your local area. Book-keeping services and small business assistance. BAS/IAS statements. Specialising in MYOB. 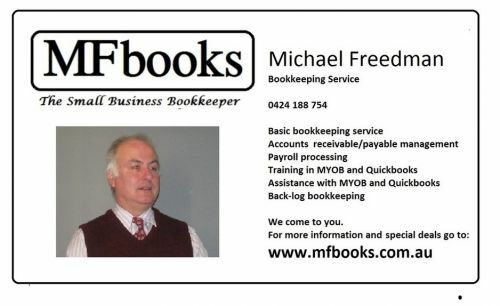 Tax accounting, bookkeeping services, business advise and set up. We look after all aspects of tax preparation and lodgement for Individuals, Partnerships, Trusts, Companies and Super Funds. We have more than 13 years experience in the local area and can help to make tax time less daunting, assist you with your business set up and operation, and provide bookkeeping services where needed. Call us on 02 4472 2370. Our location is Unit 4, 270 Beach Road Batehaven.